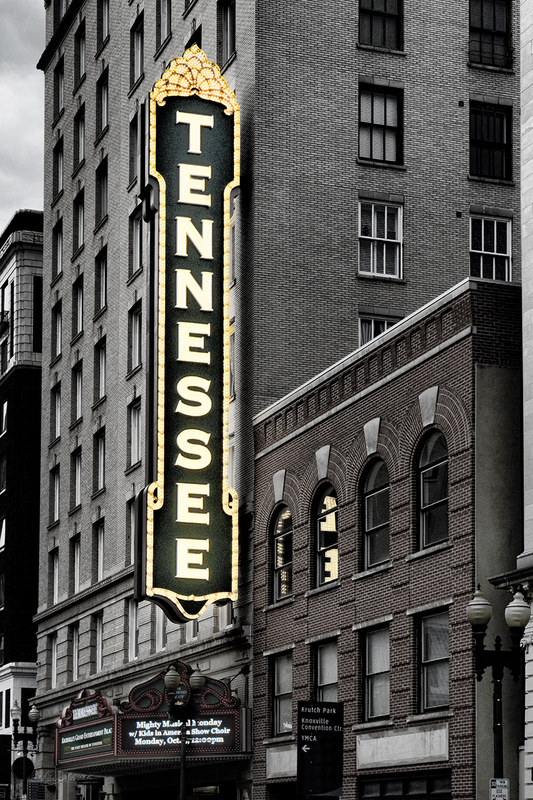 The Tennessee Theatre Marque is a local historic landmark all its own. The theatre itself opened in 1928. In 2005, the theatre reopened after extensive renovations inside and out.